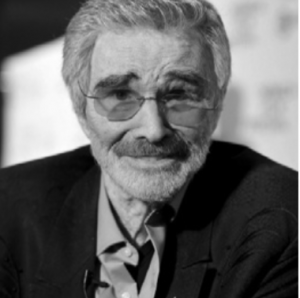 BURT REYNOLDS’ BANKRUPTCY | Jeffrey B. Irby, P.C. In 1996, seventies-heartthrob Burt Reynolds declared bankruptcy, listing $6.65 million in assets and $11.2 million in debts. Let that sink in: He declared $11.2 million in debts. Beyond that, his bankruptcy was common knowledge, and it fell on the heels of a divorce that was heavily publicized and that resulted in Reynold’s losing endorsement deals and having his show canceled. How did this happen? How did a man who drew millions of people to the box office end up declaring bankruptcy? He lived beyond his means—and he did it on a grand scale. Burt Reynolds assumed that he would have an endless stream of money pouring in, so he bought mansions and a helicopter, hired staff, and created a lifestyle that was unsustainable. or $4 million a year, most of us are never taught how to live within our means, so it is no wonder that we end up $10,000 in debt, $100,000 in debt, or even $11.2 million in debt. We simply do not have the tools and skillset necessary for managing money. It’s nothing to be ashamed of—most of us were never taught otherwise—but it can be changed. You can learn how to manage money so you will never be in this position again! And what better time than now? When a person declares bankruptcy, he or she is given an opportunity to set the course right. When you wipe the slate clean and breathe for the rst time in months (or even years or decades), you have a chance to start anew and adopt better habits. First and foremost, you can educate yourself in money management. There exists no shortage of resources— books, apps, and courses—for budgeting and money management. I give all my clients a course called, “7 Steps to a 720 Credit Score,” which will teach you many things about nances, including how to rebuild your credit score to 720 in just 12 or 24 months after your bankruptcy. This program will give you the push-start you need to get your financial life back in order. Once your bankruptcy erases your debt, you can also start saving money. Now that your bills are lowered, you have the opportunity to get ahead by tucking away that money that used to go toward your high overhead. In other words, there’s no reason not to use your bankruptcy as the catalyst for you to become a financial and savings whiz. A few final words about Burt Reynolds: The year after declaring bankruptcy, he received an Oscar nomination for Best Supporting Actor, proving once again that bankruptcy is just one step in a bigger picture.